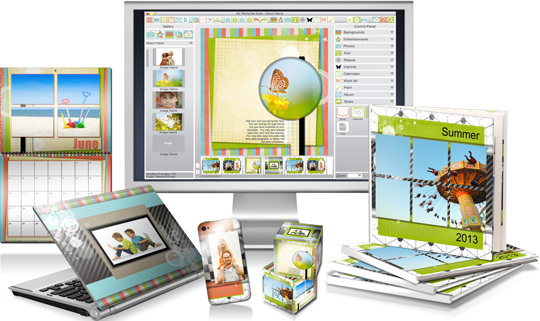 Our award winning MyMemories Suite 6 is a fun and easy way to create scrapbooks, photobooks, custom gifts and more! And now MyMemories Suite 6 is 64-bit for better performance and Commercial Use! Drag and drop photos and elements to your page(s) or use our Fast Fill feature. Create your own page(s) from scratch or from pre-made designer templates. Print at home or professionally. Create custom blog or facebook graphics. Export as jpg, svg or png. What’s New in MyMemories Suite 6? This is my first MyMemories.com blog train and I am very excited to be a part of it. For the month of February we each chose our own title for a part. My kit is called Delicate. I hope you enjoy each designer’s kit as you visit each stop along the way. It is always so much fun to see what each designer has in their kits. Thank you for stopping by. Lovely colors!! Love the sun bursts!! The heart are lovely!!! The beads are lovely!! Love the hanging vase!!! Gorgeous papers!!! Thank you so much for sharing!! !